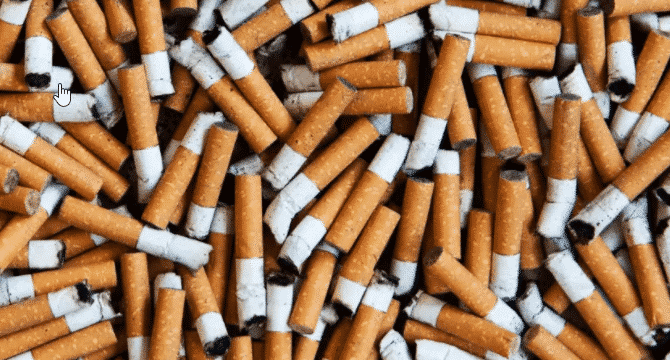 Cigarette butts are an eyesore and one of the most common types of litter. When it comes to vaping I agree that we should work to maximize the benefit of vaping as a way to help individuals replace ordinary tobacco products in a way that is safe and effective, while minimizing their potential risk to prolonging the habits of current smokers or introducing a new generation of users to nicotine addiction. In order to do so, we must do more to better understand the potential benefits of vaping have to those trying to quit an addiction to traditional cigarettes. Once we have additional information on these products, it will be easier to maximize the benefit of vaping as a way to help individuals replace ordinary tobacco products in a way that is safe and effective. However, while the information for this is still being collected, it is important to take reasonable steps to keep these products out of the hands of children and ensure that the devices and products currently on the market are safe for consumers. We need to make sure that we only have the highest quality ingredients going into our e-liquids and also our vaping products. There needs to be strict testing when it comes to e liquids to make sure that they’re not putting harmful chemicals into them causing consumers to develop things such as popcorn lung or other health conditions. It will also take quite a bit of research to find companies that are dedicated to providing only quality materials to go into their e liquids and also their e-cigarettes. I believe that there are many great benefits from switching from regular smoking to vaping or to electronic cigarettes. Research has shown that even if a person who has smoked for 20 years switches over to a vaping device or even e cigarettes and slowly decreases the amount of nicotine that is being intake into their system that not only does their health improve drastically but also overall they feel better reduce risk of heart attack, stroke, emphysema, COPD, and other lung conditions . I also believe there needs to be some kind of age verification online with different businesses so that young children cannot go online and purchase vaping products. One company that I dealt with required you to submit a copy of your state ID with the option of blocking out things such as social security number to prove that you are over the age of 21. I myself think this is a wonderful idea because it would reduce the risk of electronic cigarettes falling in to the hands of children. In reality we have found that e-cigarettes and vaping are for the long-term better for your health then actually smoking. Studies found large reductions in carcinogens and other toxic compounds in vapers compared with smokers, but only if the user had stopped smoking completely. Using vapor products as a way of stopping smoking for the long term is much better for your health in general. It is came to my attention that there are a lot of government officials who are trying to stop consumers like myself from vaping. I believe that this is wrong. I believe as a consumer who is well above the correct age should have a choice whether to vape or to smoke. I was previously a two pack a day smoker for over 20 years. I was given my first vaping mod which was a Smoktech T-Priv. At first it was much different than the smoking that I was accustomed to but after about a week of continuing it I noticed that I started not only feeling better but didn’t smell like an ashtray. This is why I believe that a lot of people in government offices do not quite understand the benefits of vaping versus smoking. What I know is that they do understand is that with smoking they can not only tax the tobacco grower, the base to which the farmer grows the tobacco, and also the other chemicals that are put into this. I helped for many years in the tobacco field from the time it was planted to the time it was harvested. The amount of chemicals that are added to tobacco would shock you. Whereas vaping there are very limited chemicals that go into it that I am aware of only three. I think that is why it’s not as much of a money maker for the government and that is why the government is having such a fit with consumers switching from smoking to vaping. With a person who is addicted to smoking not only are you making money off of them every time they purchase a pack of cigarettes you are also guaranteeing somewhere down the line that that same person is going to develop health issues that will put more money into the government’s pocket when the smoker develops lung conditions, heart conditions, or cancer. The health benefits of quitting cigarettes are tremendous. Yes nicotine is found in vaping products. And yes nicotine is one of the contributors to cancer as determined by the state of California. It even stays that on every single vape juice product that you buy. It is totally up to the consumer to be responsible enough to decide how much nicotine they want to put into their body. I myself started out at 20 mg of nicotine per bottle. I was determined to quit smoking and over the last 3 months have weaned myself down to 6 mg of nicotine. And in the process also enjoyed vaping, not being shamed for smoking, and enjoyed feeling better as well. I believe that there is still a lot to be done when it comes to electronic cigarettes or to vaping but it is also up to the consumer to decide which would be better for them in the long run. I also believe that the government should not go off and invite themselves in to decide for us what we the consumer would want. These are only my opinions not anyone else’s. And I hope to one day see instead of the commercials for the Nicoderm patch that we’ll see commercials supporting using vaping products as an alternative. I honestly believe that if people were given the opportunity the tobacco industry as a whole would take a large decrease. I do realize that there will always be those who are stuck with traditional cigarettes but being someone from the original Marlboro Man generation I myself am not one of them anymore. Previous articleCirro by Everoll Review: Should You Buy? Next articleHerbstrong CBD Review – Strong Indeed!